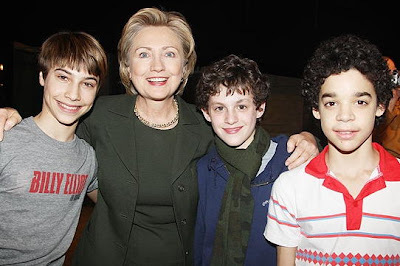 Incoming Secretary of State Hillary Clinton and daughter Chelsea visited Billy Elliot last Nov. 29. Check out the behind the scenes video because it's quite amusing to see the whole cast turn into fangirls/guys. See how everyone was gushing!